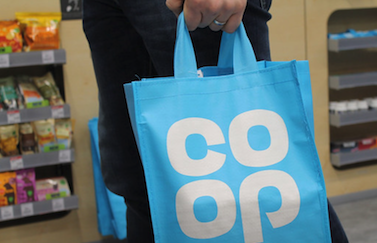 Manchester-based Co-op Group said on Friday its 2018 revenue grew 14% to £10.2 billion, driven by its acquisition of Nisa and a strong performance from its food division. Profit before tax from continuing operations was up 27% to £93 million, with underlying profit before tax remaining flat at £43 million. Co-op CEO Steve Murrells said: “Over the past year we have continued to successfully transform the Co-op, leading to a 14% increase in revenues to £10.2 billion and the return of £60 million directly to our members and £19 million to over 4,000 community projects across the UK. “We continue to demonstrate that the Co-op is a good business that does good for society as we lead on issues including single use plastics, funeral affordability and social housing. The Co-op is one of the world’s largest consumer co-operatives with interests across food, funerals, insurance, legal services and health. Owned by millions of UK consumers, the Co-op operates 2,600 food stores, over 1,000 funeral homes and employs 63,000 people.